as with every year before it, 2014 has been a really special year of listening. there have been some amazing new releases to discover, along with many times and places to revisit some much-treasured classic works from the ever-expanding vaults. over the last twelve moons i really sought to try to keep abreast of the many new releases which would interest me, and how they surely influenced my overall listening activities for the year, but how i was consistently revisiting old favourites and conducting further investigations into past recordings; which lead to the overall pattern of my audio-experiences over the long days and weeks. so, might i take a moment to present to you what became my top ten ‘most-listened-to’ artists of 2014, in ascending order. perennial favourites for more than a decade now, bohren always find themselves in my yearly top ten, and if not, then very nearby. 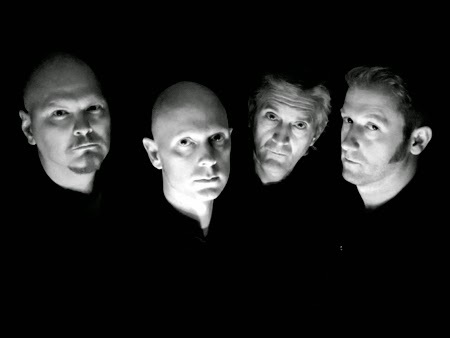 for sure their most-well-renowned album ‘sunset mission’ took them directly into the dark-jazz sound that angelo badalamenti essentially invented with his work alongside david lynch, but, before and after that, each album from bohren has its own distinctive sound; each taking us in a slightly different direction, a different set of instrumentation, a different set of moods. this year, their ‘piano nights’ release proved to be an epic exercise into a strange, beautiful, sad, melancholic variant of their world. much less dark and menacing, much more timid, fragile, tender even. for my own money ‘black earth’ has always been my most-visited release from their catalogue, followed by the almighty ‘sunset mission’, but the new one has very certainly been on the most-heaviest rotation over these moons since its release. if you are without bohren in your life, or simply without their full catalogue of albums, i sincerely, sincerely urge you to pursue the possibilities therein. 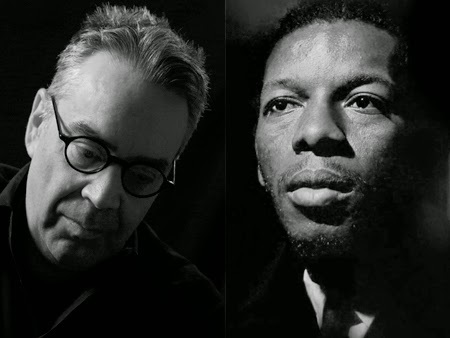 every year, very-gladly, proves to be a new lesson in jazz for me, but how this last one provided me with such a wonderfully satisfying connexion of loose ends that have trailed all the way back to my childhood. 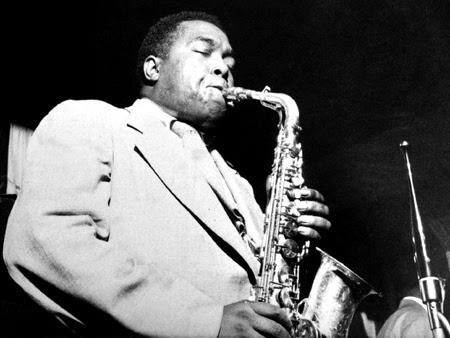 of course i have been keenly, keenly aware of the name, and massive importance of charlie parker since as long as i can remember, and had no doubt, over the long years, heard many selections. but 2014 finally presented me with the chance to really sit down and investigate his recorded works in detail. my resource was the complete savoy/dial master recordings, and what an incredible treat they are. recorded between 1945-1948, they encapsulate the incredible bebop sound that was prevalent in new york, and for me finally helping to bridge the gap between my love of 30’s and 50’s jazz, the glowing sound of the missing decade in my listenings, save for a perhaps a few vocal artists and groups. as for charlie parker, he crushes so insanely hard, so hard. this is a legendary name, for good reason. i can only recommend you begin to investigate his canon, or continue to expand your own collection. onwards. if memory serves, i first sat down and listened to odd nosdam very, very closely with the arrival of the cLOUDDEAD triple-vinyl on my doorstep as a university student in west london, uk. the album destoyed me, utterly, in many number of magical ways, but the overwhelming initial highlight were the incredible drone-pieces from ‘cLOUDDEAD no.5’. how i was completely swept-up up in their incredible radiance, and have long looked towards his releases for these shimmering doses of impossible tranquility, not to mention his crushing drums, field recordings and dialogue samples along the way. for many years, i had two ‘favourite producers’; fbcfabric and odd nosdam. i have to admit that a few other guys out there have got a few things happening, edison, but these are the two perennial favourites. gladly, odd nosdam is a shade more prolific than fbcfabric, so how it is an ongoing pleasure to be able to audition new works alongside the old classics. the ‘trish’ tape was definitely govering this years’ listening patterns though, having gladly scored myself a copy at amoeba records in berkley, whilst on a tape-hunt with babelfishh; glory days. utter crushing devastation, at every turn, forever. this year found me discovering some absolutely, absolutely critical live recordings of sir coltrane which had me quickly exponentially increasing my listening in to his astonishing work, as well as my very own ‘long-lost’ coltrane classic, as if i had been searching for it my whole life. i actually stumbled upon the ‘village vanguard’ recordings whilst pursuing some precious eric dolphy materials. first my searches turned up the original single lp release of the album, but then soon accorded me the chance of locating the ‘complete recordings’ box-set, captured across four nights’ in new york in 1961. the band had recently returned from a tough european tour, where they had faced booing crowds in some spots, due to the extremeness of their material during this period. but how these recordings capture nothing but piece after piece of monolithic deathcrush. coltrane and dolphy chew their way through ‘india’ and ‘spiritual’ like i do not choose to describe. but how, also this year, i finally secured myself a vinyl copy of the unutterable ‘om’. 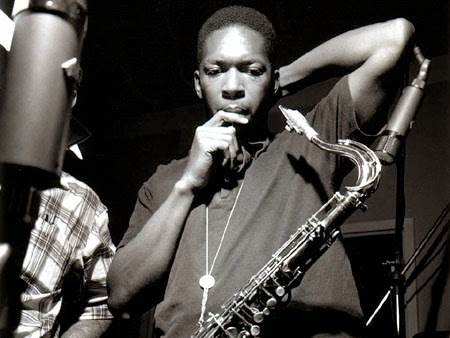 very often described as coltrane’s ‘worst album’, it is a twenty-nine minute free-jazz excursion into total abandonment. i do not have enough space for the words. find the record, find a dark room. take yourself to the place. do it. the true master will always feature on this list, and i will always find new ways to heap praise upon his music, and indeed his character. 2014 actually found me, for the very first time outside of his scenes in mulholland drive, seeing the great man himself, talking to camera, playing the twin peaks theme on the piano as he described how david lynch had sat beside him as they worked out the tune and arrangement all those years ago. such a magnificent little interview piece, and how he seems like the warmest fellow one could hope to collaborate with. 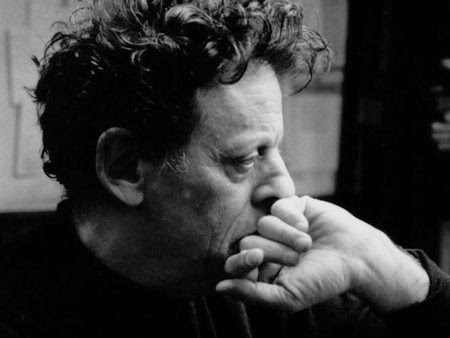 but how his music still crushes and terrifies, lays furtive and brooding, swells with unimaginably sad rays of the faintest hope. the main titles to mulholland drive have long been my immediate drop-in point in recent years, and before that the theme from fire walk with me. 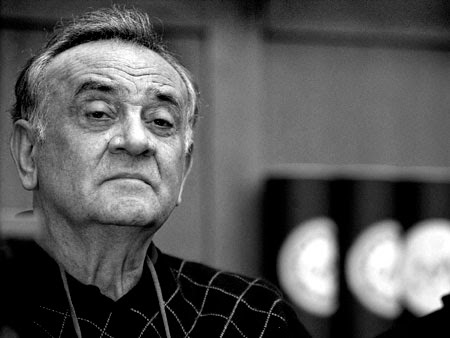 but every badalamenti soundtrack is pure perfection, and his work with david lynch the highest of the high, whilst scarcely even needing to mention his single-handedly inventing the dark-jazz genre, giving way to all its doom-variants. 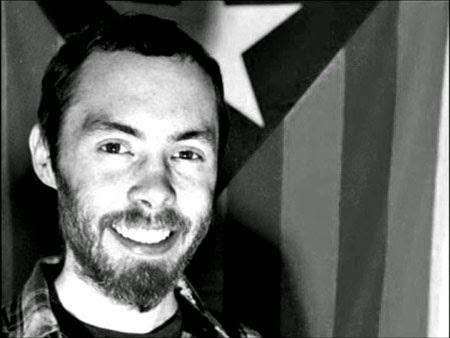 a true living-legend on the strange musical landscape. last year saw me listening to vast swathes of recordings from both the boswell sisters and the andews sisters, so how fitting it would be this year that, one their greatest fans, would be boldly taking their place in this years’ list. one of the most clearest, and most beautiful voices in all of jazz, and one so adept at provoking such a great spectrum of emotions from the listener. 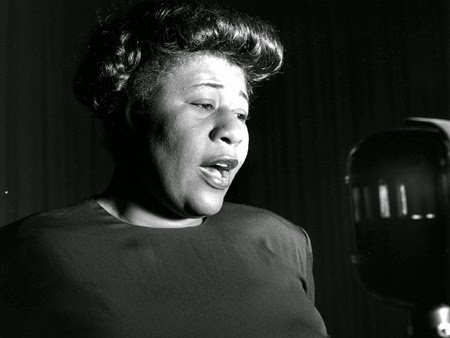 ella fitzgerald could sing them all, and with what seemed like an impossibly effortless ease the whole while. her music is so perfect for all moods, but so very perfect for lazy sundays, under clear skies, a warm spring breeze, or gentle autumn hues. in the safehouse we were enjoying selections from the various song-book recordings; cole porter, duke ellington, george and ira gershwin; the absolute classics. such a pleasure to hear her crystal clear voice resonate with simply such a timeless nature; one cannot helped but be so moved and allowed to be swept up into a nostalgic world of long ago, that still resonates so strongly back into this modern existence, rendered so utterly meaningless in the interim. magic, captured in soundwaves. how i felt i had known the name of sun ra since birth, possibly with all the egyptology picture-books i used to devour as a very young boy, but i still distinctly remember first getting to marvel at his saturn releases first-hand, in intoxica records, portobello road, in what would have been the very late 90’s. i had no the cash to invest at the time, but upon enrolling at the london college of music and media, in ealing at the dawn of the new millenium, i suddenly had access to their recorded music library and soon made up for lost time. at first i was keen to hear anything and everything i could, but over time found that i was much more interested in his earlier body of work than his latter efforts. i slowly whittled his collection down to around the first twenty-five albums, which have since become my staple, replete with those one or two vital albums that i am still year to audition. 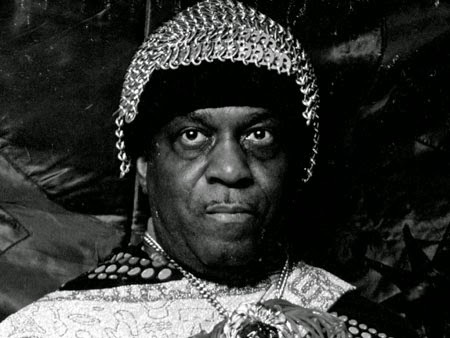 still, with sun ra, one must find ones own path into the music. i am interested primarily in his bebop and free-jazz work, hence my own choice of selections, but those looking for the space-jazz would do well to perhaps investigate the next twenty-five releases. go by what style you think will please you the most. regardless of specifics of taste, he was a true master, one for all time. the final steps on the pyramid, and how the year could not be complete with the absolutely essential soundtrack to david cronenberg’s naked lunch, based on the novel by our father william s burroughs. if the hours soundtrack is one of the very few albums i can listen to for days at a time, then this must be one of the only others. the perfect marriage of shores cinematic strings, colemans horn-work, and some middle-eastern textures to lend the whole piece its sense of place and time. essentially though, while it is a magnificently executed commission, the need for the listener to be a fan of burroughs, cronenberg, the book, or the movie, is completely by-the-by. this is simply wonderfully engaging music that will transport you to your own personal interzone, whatever your mind might simply want that to be. for my own money, it does transport me into this burroughsian world, with tinges of imagery from the movie hidden within the notes. but my appreciation of burroughs himself has long been frequent and ongoing, so these moments when the music coincides with my literary intake are simply pleasurable connexions along the route. be sure to seek out these collection of songs, they are important, and more than worthy of a great deal of your time. with both the boswell and andrews sisters sitting outside of my top-ten this year, and ella fitzgerald sailing high, logic might follow that this years’ top-spot, by a country-mile, is indeed the one and only, truest master of that impossible to imitate jazz voice, lady day herself, miss billie holiday. another name from my childhood that always rang out with familiarity, but whose recordings first came into my possession at the tender age of sixteen, back in the mid 90’s. i managed to obtain myself a cassette recording from a cd compilation which i held dear for a long while, til further vinyl treats emerged through the rest of the decade. but how vast her recorded catalogue is, outside of her officially-released long-players. this year i have had the impossible pleasure of investigating her complete columbia catalogue, which contains swathes and swathes of simply mesmerising takes, of such a wide variety of tracks, with an almost equally wide range of bands behind her. from early recordings with count basie, to even a couple of treats with artie shaw, the collection is awash with hours of hypnotic magic, in the form of this voice, this voice. again, it is another case of being wise enough to know that words are not enough. 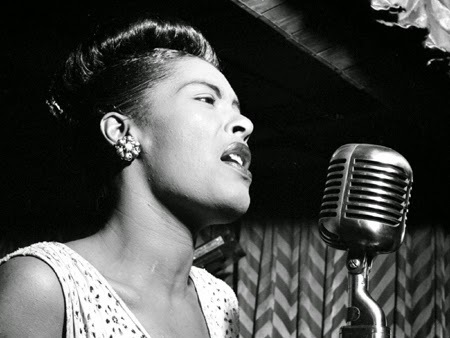 a salute, to miss lady day, and the struggles that made the magic possible. a wondrous flame in an utterly brutal world. so, there we have it, my ‘most-listened-to’ artists of 2014… and, should you continue to find yourself interested, might i announce that i shall very shortly also be unveiling my ‘top ten releases of 2014’, a detailed look at what have, for me, been the best works from the last twelve moons, and how it is a varied and interesting bunch to be sure. til then, might i take a moment to thank you for you time, and to wish you a very happy holidays with your loved ones.